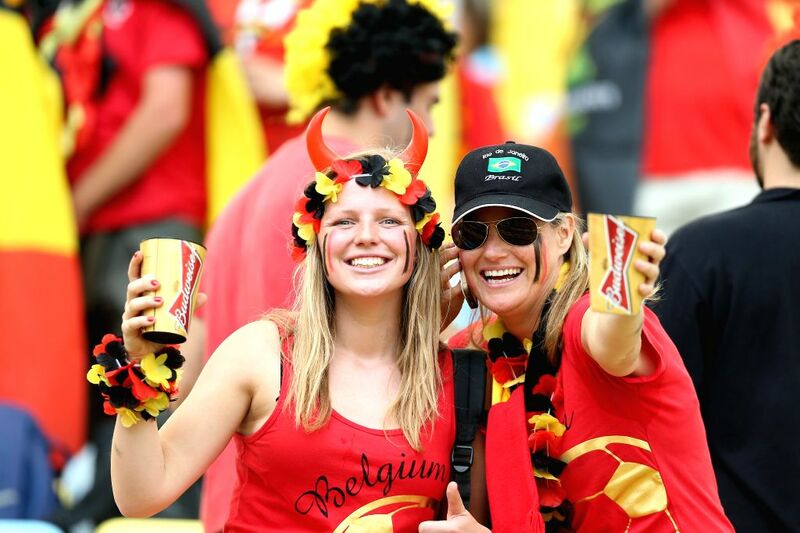 Brazil (Rio de Janeiro) : FIFA World Cup 2014 Group H Match Belgium vs Russia. 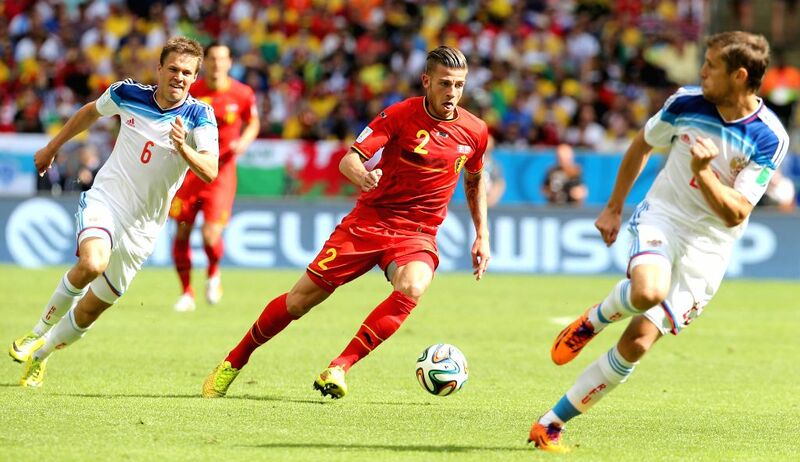 Rio de Janeiro, June 22, 2014 - Belgium's Toby Alderweireld (C) runs with the ball during a Group H match between Belgium and Russia of 2014 FIFA World Cup at the Estadio do Maracana Stadium in Rio de Janeiro, Brazil, June 22, 2014. 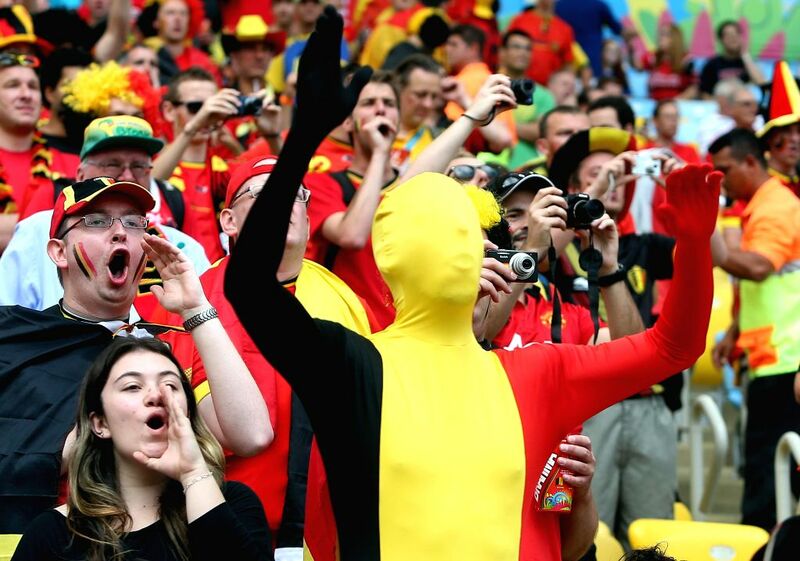 Belgium's Kevin De Bruyne vies for the ball during a Group H match between Belgium and Russia of 2014 FIFA World Cup at the Estadio do Maracana Stadium in Rio de Janeiro, Brazil, June 22, 2014. 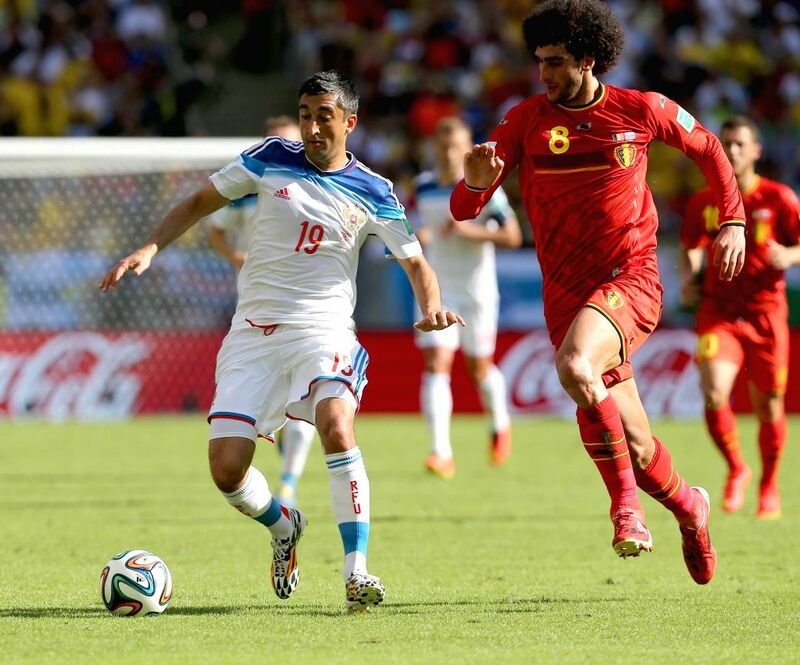 Belgium's Marouane Fellaini vies with Russia's Alexander Samedov during a Group H match between Belgium and Russia of 2014 FIFA World Cup at the Estadio do Maracana Stadium in Rio de Janeiro, Brazil, June 22, 2014. 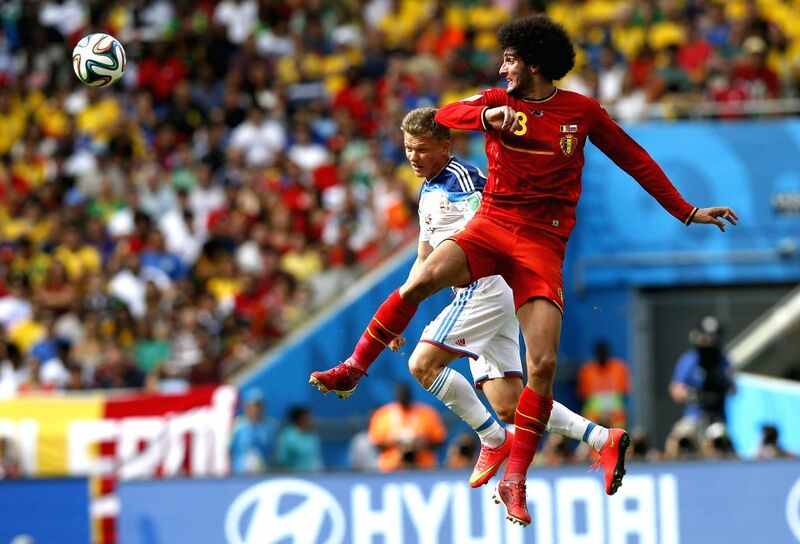 Belgium's Marouane Fellaini (R) competes for a header with Russia's Oleg Shatov during a Group H match between Belgium and Russia of 2014 FIFA World Cup at the Estadio do Maracana Stadium in Rio de Janeiro, Brazil, June 22, 2014. 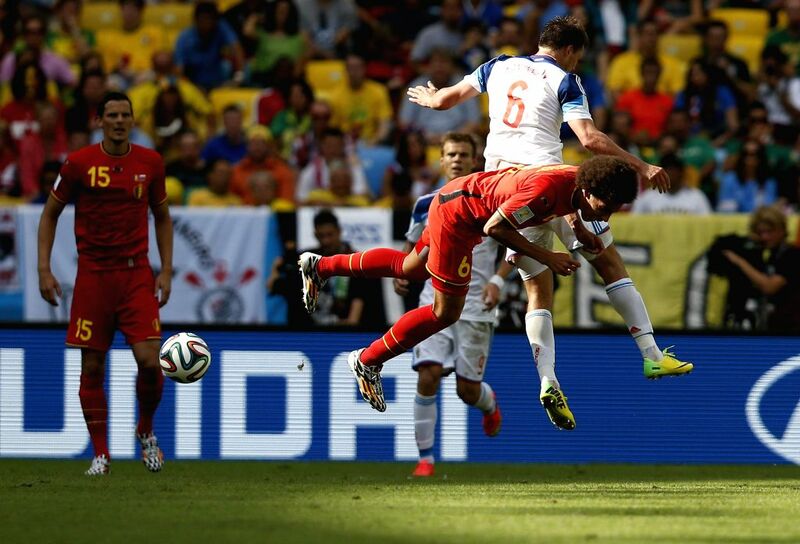 Belgium's Axel Witsel competes with Russia's Maxim Kanunnikov during a Group H match between Belgium and Russia of 2014 FIFA World Cup at the Estadio do Maracana Stadium in Rio de Janeiro, Brazil, June 22, 2014. Russia's Aleksandr Kokorin controls the ball during a Group H match between Belgium and Russia of 2014 FIFA World Cup at the Estadio do Maracana Stadium in Rio de Janeiro, Brazil, June 22, 2014. 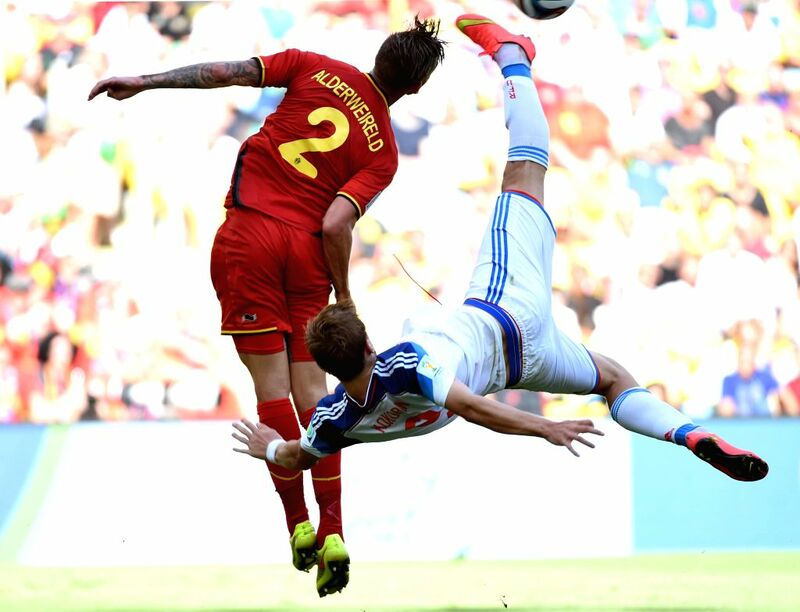 Russia's Aleksandr Kokorin (R) attempts an overhead shot during a Group H match between Belgium and Russia of 2014 FIFA World Cup at the Estadio do Maracana Stadium in Rio de Janeiro, Brazil, June 22, 2014. 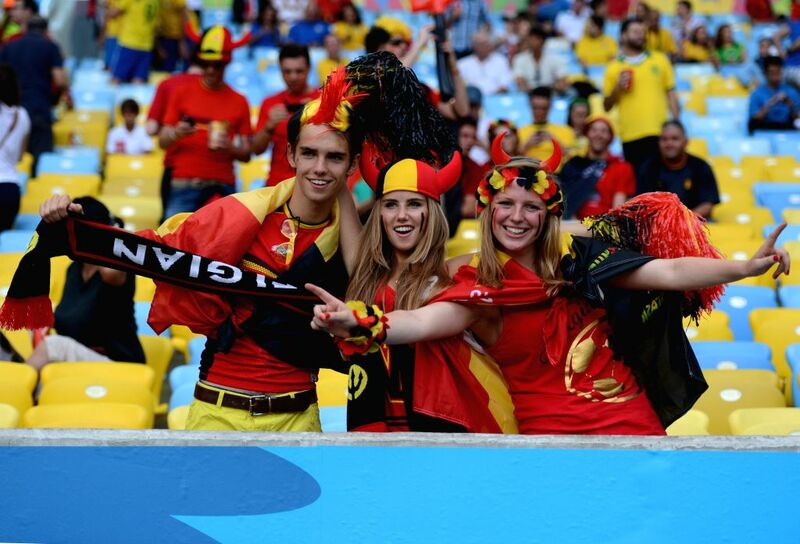 Belgium's fans pose before a Group H match between Belgium and Russia of 2014 FIFA World Cup at the Estadio do Maracana Stadium in Rio de Janeiro, Brazil, June 22, 2014. 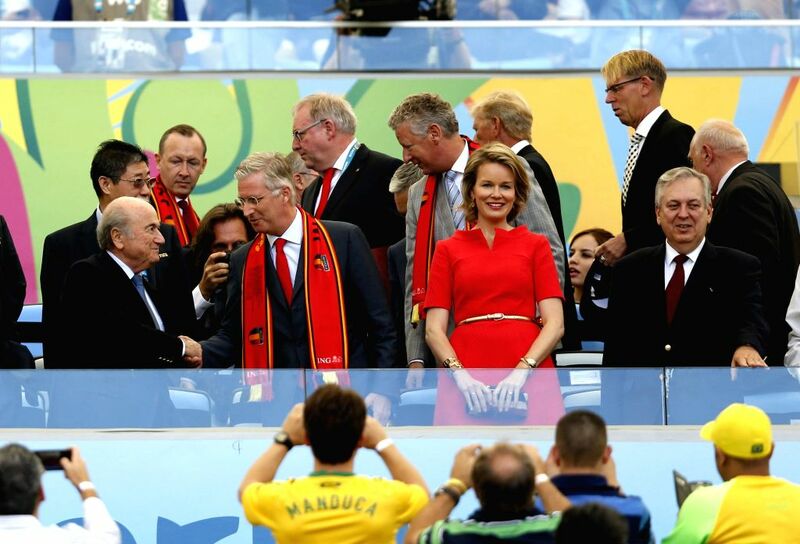 FIFA president Joseph S.Blatter (1st L, front), King Philippe of Belgium (2nd L, front) and Queen Maathilde (3rd L, front) arrive to watch a Group H match between Belgium and Russia of 2014 FIFA World Cup at the Estadio do Maracana Stadium in Rio de Janeiro, Brazil, June 22, 2014. 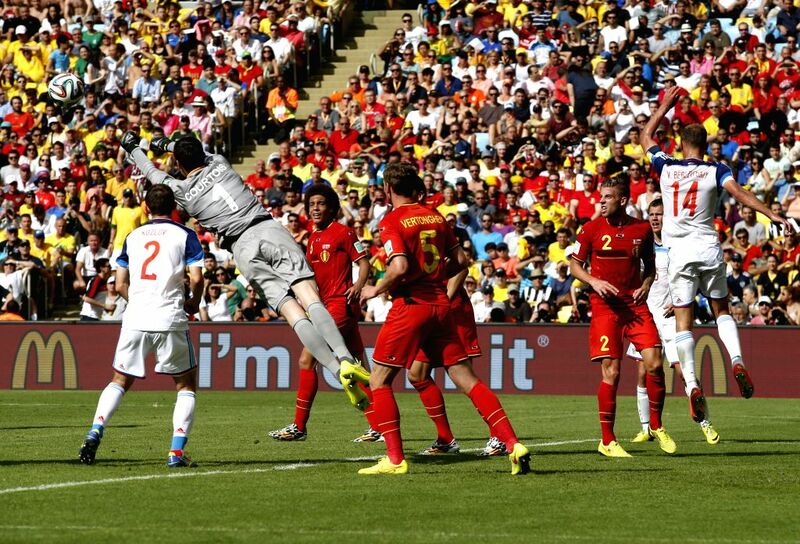 Belgium's goalkeeper Thibaut Courtois (2nd L) blocks a shot during a Group H match between Belgium and Russia of 2014 FIFA World Cup at the Estadio do Maracana Stadium in Rio de Janeiro, Brazil, June 22, 2014.